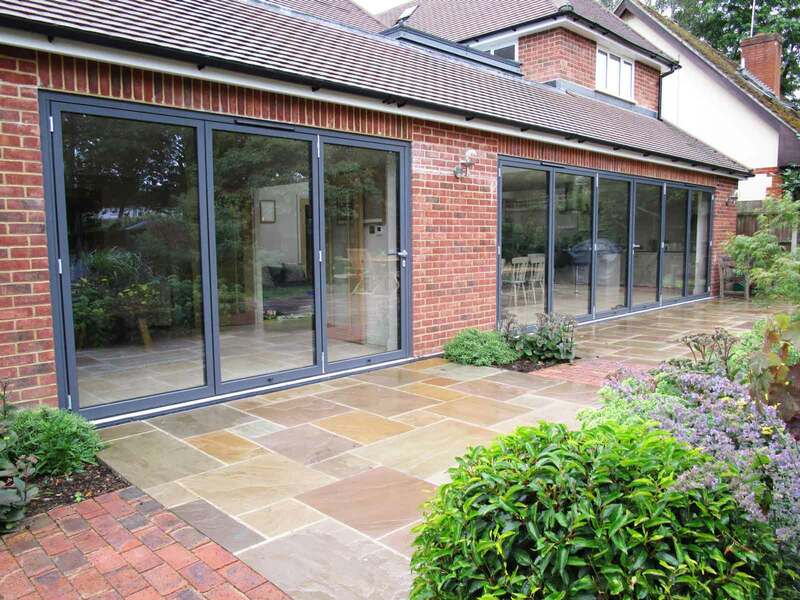 Aluminium bi-fold doors are extremely popular among architects and designers wanting to create kerb appeal to properties in Essex with a stunning focal point that provides exceptional functionality. Get in touch with us via our online quoting engine to get a free, instant and competitive aluminium bi-fold doors prices quote. Alternatively, you can get in touch with us via our online contact form to speak to a member of our friendly team. 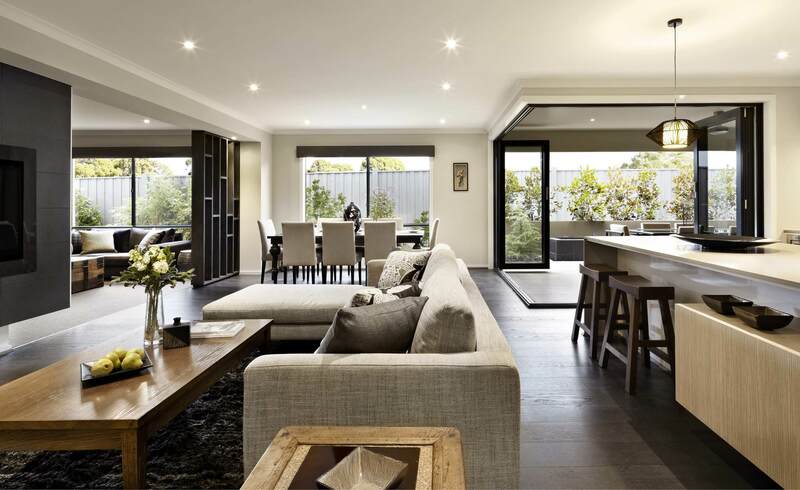 Commonly seen in glossy home improvement magazines depicting modern lifestyle living, aluminium bi-fold doors are the ‘in’ design trend for a modern and stylish aesthetic. 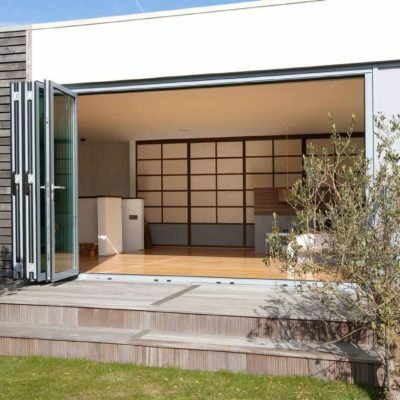 Bi-fold doors are a stylish, versatile solution that can open up an entire wall of a property to the outdoor space, creating a seamless and natural cohesion between the garden and interior of the home. The designs we have available by Duteman, are able to accommodate any possible colour and any design finish that would best complement your property. 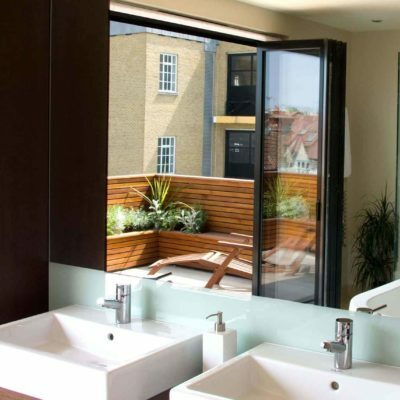 From a laminated timber effect to a minimalist aluminium timber clad, we can fit any variation that you choose. 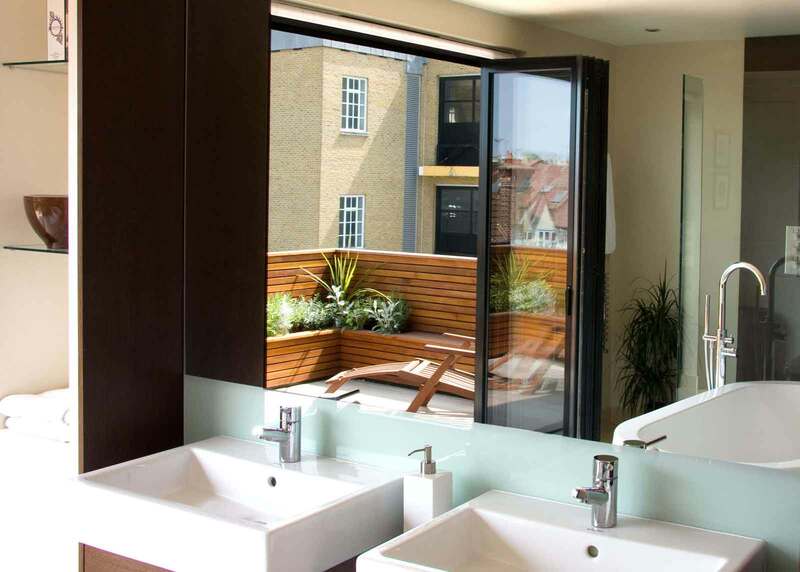 At Seemore Glass we can create a custom-solution that is bespoke to your home, creating a stunning finish. All of our aluminium bi-fold doors are manufactured using premium grade materials and the latest techniques to ensure they achieve unrivalled performance. With this in mind, you’ll be able to bring market-leading standards of thermal efficiency, security and durability to your home. Our aluminium bi-fold doors have been created with the most modern and efficient materials available, bringing together a shield against the elements and keeping your home cool in the warmer months. All of our doors have been tested at a UKAS accredited testing station and have passed the PAS23 weather test during artificial extreme weather conditions. Our doors use the latest innovative technologies to enable the doors to be wind, water and noise tight. We use EPDM (ethylene propylene diene monomer – m-class – rubber) gaskets, which seal the panels and protect the door from water ingress. EPDM seals are also placed between each panel to prevent wind, water and noise pollution from entering your home. 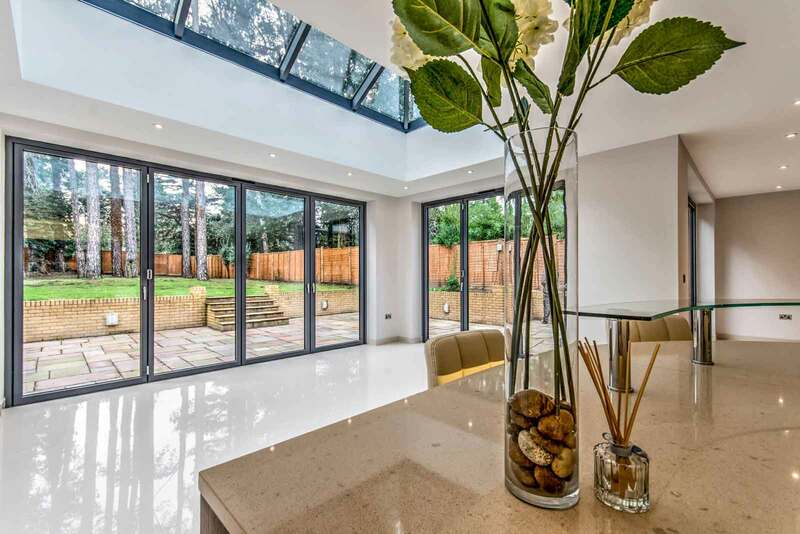 All of our aluminium bi-fold door systems have been thermally simulated to indicate the true thermal value; you can find these details by visiting our showroom. Where a member of our professional and friendly team will be more than happy to show you all of the benefits of our bi-fold doors. 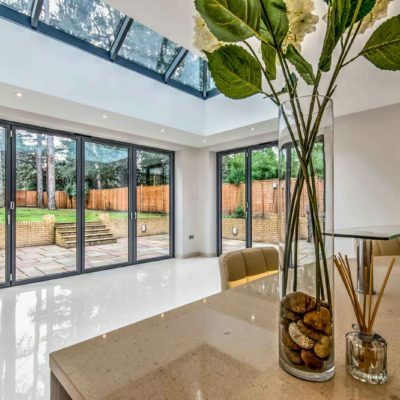 You will find that all of our bi-fold doors are constructed to have significantly low U-Values, thereby keeping your home insulated with less heating requirements and reducing your energy bills quite significantly over time. We'll be able to offer you a stylish solution for keeping the winter winds at bay. 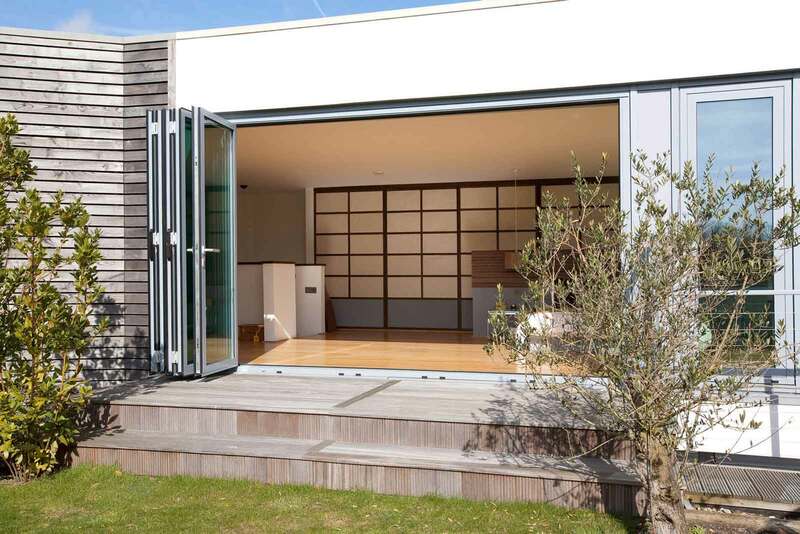 When compared to traditional patio doors or French doors, bi-folds are more space efficient as they enable the user to open the space between the outside and inside with minimal effort and in a way that they concertina back on themselves to stack neatly to the side. This means that you'll be able to enjoy a neat and stylish finish. Our aluminium bi-fold doors come in a large range of styles and sizes to give you a large volume of configurations to choose from. 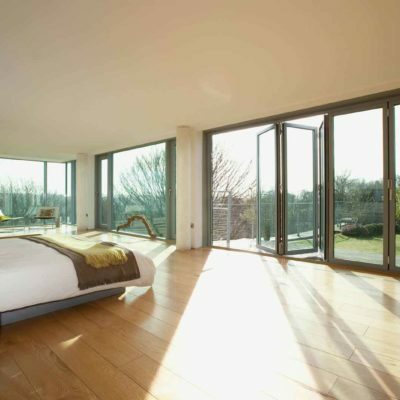 You can choose a bi-fold door solution that may have some fixed panels and three sliding doors or perhaps a bi-fold configuration that enables one of the panels to act as a normal door whilst the other five become fully expandable. 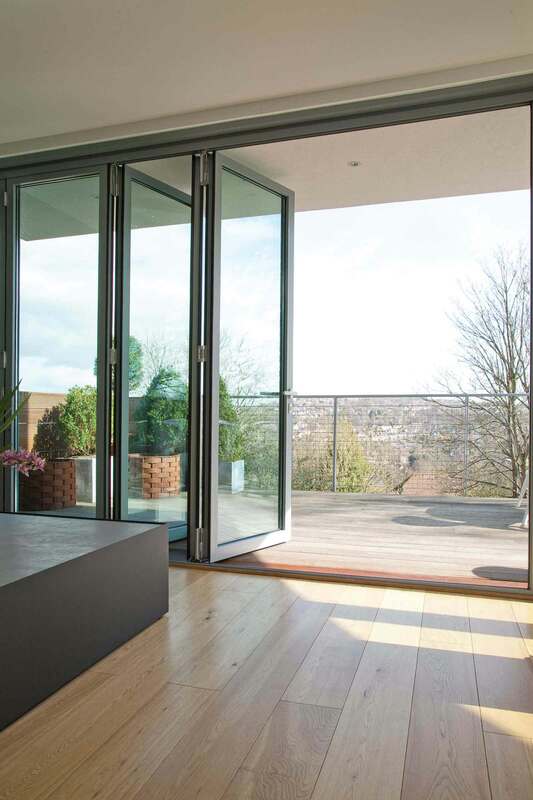 Not only are aluminium bi-fold doors versatile and space efficient, they enable wider fields of view of the outdoors meaning that you benefit from scenic views and increased natural sunlight. 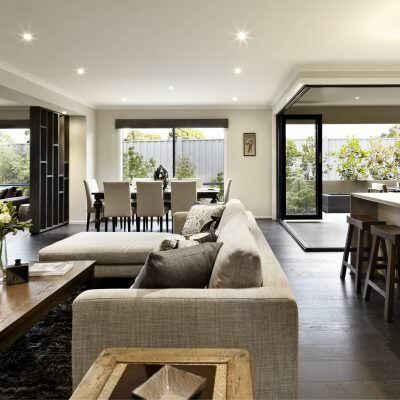 Aluminium bi-fold doors are one of the most popular and versatile door types available on the market today. It is optimum for every type of appearance either traditional or contemporary. Adding a seamless transition from indoors to the outdoors creates a bright and airy environment with an increased sense of space. It's never been easier to bring the outside in. 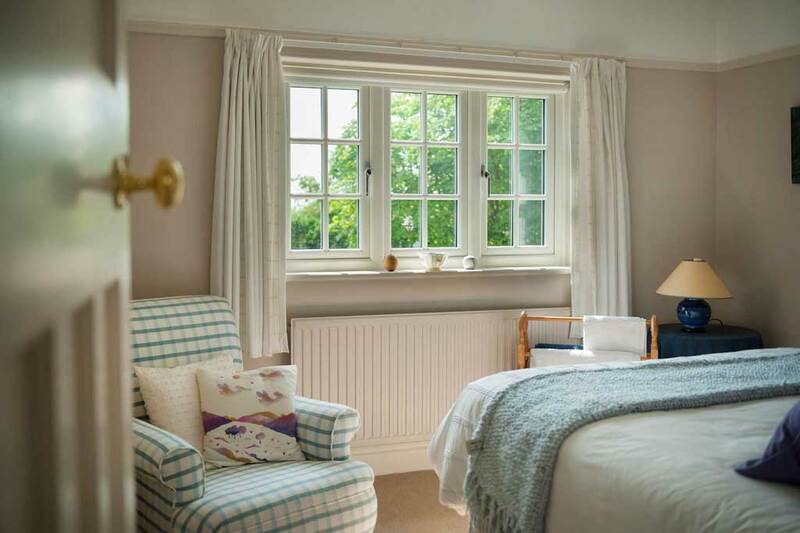 Aluminium has the distinct advantage of slimmer sightlines and a powder-coated finish which will mean they never have to be repainted, re-stained or recoloured and will last the test of time. They are a cost-effective and worthwhile investment adding value to your home and adding cosmetic appeal. You'll be able to enjoy outstanding performance for years to come. 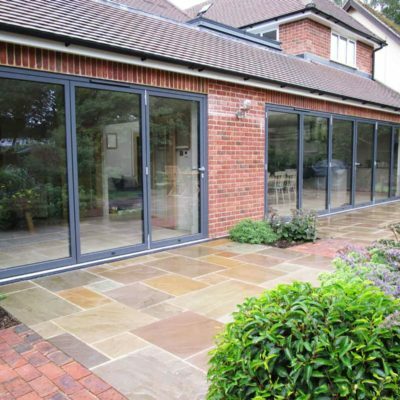 With a smooth glide opening, our aluminium bi-fold doors are easy to operate making them a suitable home improvement solution for any property and any family in Essex. To bring an addition to your home that will prove to be the perfect fit, our aluminium bi-fold doors can be fitted in a wide range of beautiful colours. Have a browse through our selection to see which one will be perfect for your home and your tastes. All of the colours that we offer are applied with a durable coating to ensure they don’t flake or peel. 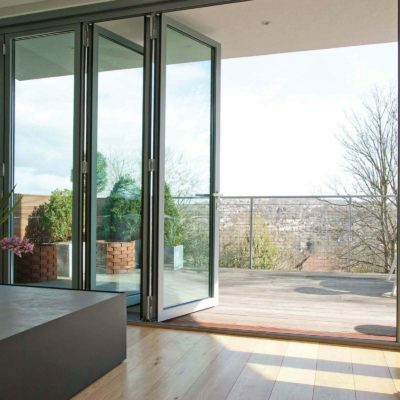 If you’d like to find out more about our aluminium bi-fold door range, you can get in touch with our expert team to discuss your exact needs and requirements. 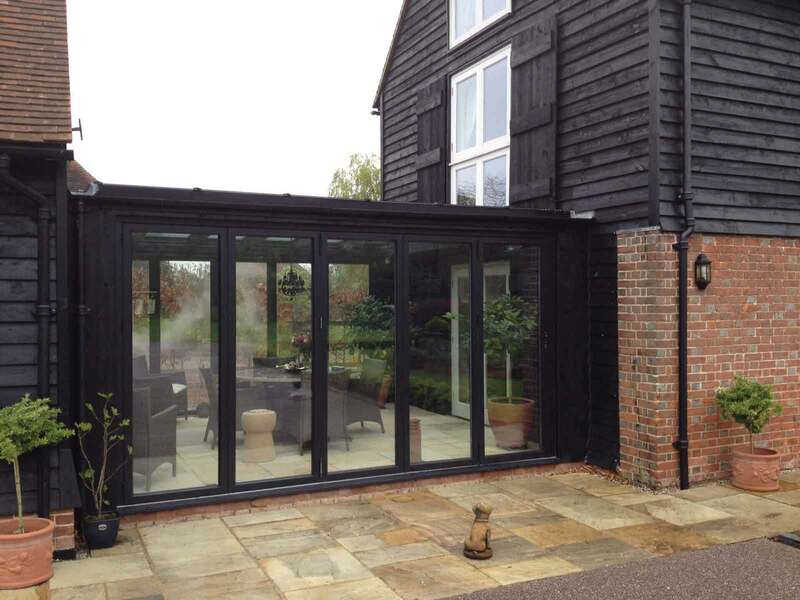 We have a large range of bi-fold doors for you to choose from for your Essex home. Our helpful team can answer any questions you may have. 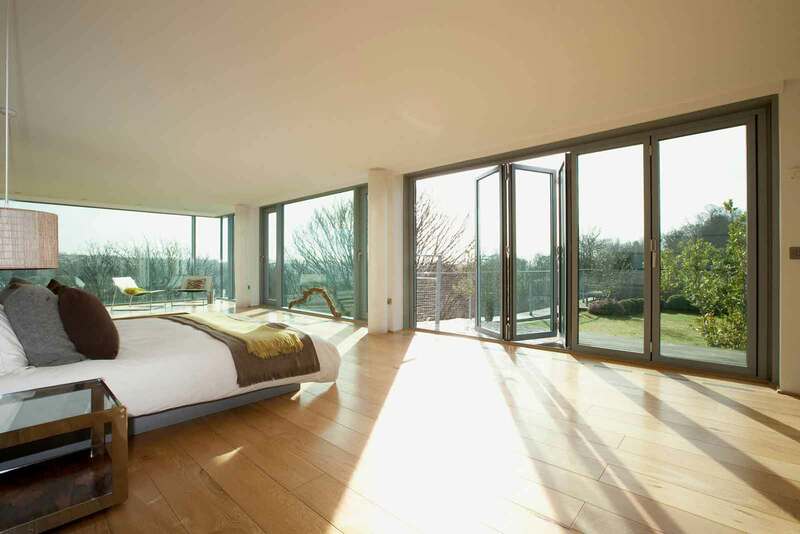 We offer a free quote for your aluminium bi-fold doors with no obligation to buy. We are competitively priced and believe that all of our Essex customers should be able to enjoy high quality products at budget-friendly prices. You can visit our showroom in Hockley to take a look at our bi-fold door products to enable you to select the best possible solution for your home.